We continue, with this fifth installment, the serial publication of Herbert W. Armstrong's latest book Mystery of the Ages. IT SEEMS incredible indeed! Higher education teaches technical courses in human physiology, anatomy, anthropology and psychology. The universities take man apart and study him minutely inch by inch. They study every facet and phase of man. They take the human brain apart and study it, yet the human mind remains a near-total mystery to even the most advanced psychologists. They do not know WHAT man is or WHY he came to be! That is the great Mystery Number 3 that has never been understood by humanity. We say there is a CAUSE for every effect. The effect, here, is man. Man is here. HOW—WHY did he come to be here? Was he put here, or did he just happen by blind, senseless, unintelligent processes of evolution? This is a mystery that has baffled higher education. Higher education during the twentieth century has come, with virtual unanimity, to accept the evolutionary theory. It no longer even considers the possibility of a designed and planned creation by a God of supreme mind, perfect intelligence, and limitless power. But the evolutionary theory cannot in any degree explain a paradoxical world of awesome accomplishment that is at the same time utterly helpless to solve its problems of mounting and continually escalating evils. It can give no purpose for human existence. Higher education contemptuously ignores, without any consideration whatsoever, the biblical truths revealing man's presence on the earth and the causes of the present state of civilization. Education in the civilized world today has become entirely materialistic. Education has become a combination of the agnosticism of evolution, the politics and economics of Karl Marx and the morals and social patterns of Sigmund Freud. Higher education remains in utter ignorance of the mystery of mankind and of human civilization. But higher education does not know. And it doesn't want to know! When we invade the questions of WHAT and WHY, the intellectuals—the custodians of KNOWLEDGE—shy away or stand up and fight. Of the questions WHAT and WHY is man, they are willingly ignorant! So, education shuts its mind, and its mouth in tight silence. Science doesn't know. Religion does not reveal, for it also doesn't know! The primary divisions of this world's civilization—government, religion, education and science, technology, industry—all shy away from GOD. They want GOD to keep his nose out of their affairs! The mention of God embarrasses them. In the first chapter of this book we have covered the questions of WHO and WHAT is GOD? And we find God is quite REAL. God is more than one single person—God is a family—God is the supreme divine family—he is the Creator of all that is, and he has an ultimate PURPOSE—the creation of perfect, holy, righteous and spiritual CHARACTER, in MAN made immortal, to become part of that God family. With these basically important questions and statements we must ask, WHY all the evils in today's sick and chaotic world? This world now faces, with no solution, its number one problem—the question of HUMAN SURVIVAL! Can human life on earth survive even through the short remainder of this twentieth century? Can humanity survive both the population explosion and the nuclear power his mind has produced that can annihilate that entire population? Consider now what has been covered about God's PURPOSE for the angels that sinned on earth. For that angelic rebellion leads directly to God's PURPOSE for MAN—to our question of WHAT and WHY is MAN? Come now to Genesis 1:1-2: "In the beginning God created the heavens [RSV] and the earth. And the earth was without form, and void; and darkness was upon the face of the deep… ." The original Hebrew for "without form, and void" is tohu and bohu—meaning "waste, desolate, deteriorated." The word was is also translated "became." Thus possibly after millions of years, all had come to be oceanic surface—and light had been by angelic lawlessness turned into darkness. Let me here interject a biblical principle within the immediate context. There is this instruction in Isaiah: "Whom shall he teach knowledge? and whom shall he make to understand doctrine? … precept must be upon precept, precept upon precept; line upon line, line upon line; here a little, and there a little" (Isa. 28:9-10). But most who try to apply this principle in biblical understanding take each "little" verse out of its context, to "interpret" their own ideas into it. So now, let's UNDERSTAND the background. Genesis 1:1: God created the heavens and the earth. We have already seen, in chapter two, that the heavens (or the universe) and the earth were created after the angels. Earth's angels had not completed the creation of the earth by improvement, development and beautification. Rather, they had brought it to desolation and ruin. The GOVERNMENT of GOD had been nullified on earth. And now, of all living beings in the universe, ONLY GOD could be certainly relied upon never to depart from the way of his law. No higher, more perfect being could be created than the cherub, Lucifer, who rebelled. Character cannot be automatically created by fiat. Godly spiritual character is the habitual action and conduct of the person or created entity to come to a knowledge of the true ways of God, and to exercise the will to follow those ways even against opposition, temptation or self-desire to the contrary. Character must be developed with the assent, will and action of the separately created entity. It is imparted by God and must be willingly received by that entity. So God now determined, or had predetermined, to accomplish the SUPREME creative feat—by reproducing himself! That was to be accomplished through MAN! God knew this must be brought about through MATTER. Now back to Genesis 1:2: The earth had come to be in a state of ruin. "And the Spirit of God moved upon the face of the waters." God separated the dry land from the oceans. He created then the plant life on the land, then the sea life in the water, the animal life. In the Hebrew in which Moses wrote, the vertebrates are called nephesh in verses 20, 21, 24. The translators correctly rendered nephesh in these three verses into the English words "living creatures." Yet in Genesis 2:7, speaking of man, the same word nephesh was translated "soul" because the translators falsely thought that only humans are souls. The word nephesh literally means "life of animals," referring to physical life and not spirit. Once again the earth was a perfect, but as yet unfinished, creation—lacking the finishing touches. As was written earlier, God creates in dual stages. This might be compared to baking a cake. First the basic cake comes from the oven. But it is not complete until the second stage is added—the icing on the cake. This beautifies, enriches and completes the cake. Now God renewed the face of the earth for MAN, made to become in the character image of God and also in the likeness or form and shape of God. And God intended man to complete the finishing touches by improving and beautifying the earth—putting, as it were, the icing on the cake, as man's part in the final creation of the earth. Instead, man has ruined, polluted, defiled, deteriorated almost every portion of the earth his hands have touched or acted upon. WHY did the Creator God put MAN on the earth? For God's ultimate supreme purpose of reproducing himself—of recreating himself, as it were, by the supreme objective of creating the righteous divine character ultimately in millions unnumbered of begotten and born children who shall become God Beings, members of the God family. Once this perfect and righteous character is instilled in man, and man converted from mortal flesh to immortal spirit, then is to come the INCREDIBLE HUMAN POTENTIAL—man being BORN INTO the divine FAMILY of God, restoring the government of God to the earth, and then participating in the completion of the CREATION over the entire endless expanse of the UNIVERSE! That incredible potential of man will be fully explained in the pages that follow in this volume. God shall have reproduced HIMSELF untold millions of times over! So, on the sixth day of that recreation week, God (Elohim) said, "Let us make man in our image, after our likeness" (Gen. 1:26). The word "soul" is translated from the Hebrew in which Moses wrote, from the word nephesh. The Hebrew nephesh merely means a breathing animal. Three times in the first chapter of Genesis animals are called nephesh: Gen. 1:20, "moving creature" (Hebrew, nephesh); Gen. 1:21, "great whales, and every living creature" (Hebrew, nephesh); Gen. 1:24, "living creature" (Hebrew, nephesh). The translators in translating into the English language used the English word "creature," but in Genesis 2:7 they translated the same nephesh into the English word "soul"—man became a "living soul" (nephesh). Therefore the SOUL is physical, composed of matter, and can die. This is a TRUTH believed by very few denominations, and probably by no other religions—another PROOF that identifies the one true Church of God! The Creator's book reveals, contrary to fallible humanist teaching, that man was made from the dust of the ground, and this dust thus becomes soul, mortal—like all vertebrates. Man has continued to accept the first lie in human history—Satan's lie to mother Eve that man is immortal and cannot die. The soul is merely the breathing animal. All animals are biblically called "souls"—in Hebrew, nephesh. Therefore, if man is a soul as in Genesis 2:7, so also are the dumb animals. But there is a human spirit (I Cor. 2:11) in the human soul. This human spirit does not impart human life. Human life, like that of all vertebrates, comes from blood circulation, oxidized by the breath of air. But God reveals there is a spirit within every human. This spirit is not present in animals. The human spirit empowers the human brain with intellect—with ability to acquire knowledge, to think, reason, make decisions, produce attitudes of good or evil. Human and animal brain are fundamentally alike. Human mind superiority comes not from superior brain, but from the presence of human spirit within the human brain. Animal brain is supplied with instinct, not intellect. But man's creation was not completed. He was made mentally and spiritually only "half there." He needed the addition of God's Spirit to unite with his spirit, begetting him as a child of God—uniting him with God—ultimately enabling him to be born into the very GOD FAMILY. At this point, let me inject a truth that, at the time this is being written, is probably the most controversial question at issue among the Western world's population—the question of abortion. The human spirit enters the human embryo at conception. It is this spirit that may, upon adult conversion, be united with the Holy Spirit from the great Creator God, impregnating that human with God-life as a child of the living God, in a state of gestation, though as yet unborn. To destroy an embryo or a fetus in a mother's uterus is to MURDER a potential future God Being. The departed human spirit at death is in fact a spiritual mold, of itself unconscious, yet in the resurrection bringing into the resurrected body all the memory, knowledge and character as well as form and shape of the person before death. The human spirit of itself cannot see, hear, think or know. The only real LIFE, inherent and self-containing, lies in the Holy Spirit of God, united with the human spirit. The value of a human life lies in the human spirit and its potential of being united with God's Spirit—which is God-mind and God-life. Therefore, man of himself is infinitesimally of less value than the self-professed wise of this world suppose. But, once begotten by the Supreme God through the very LIFE and Spirit of the living God dwelling in him, a human being's potential is of infinitely greater value than the world has understood. God creates, as previously explained, by the principle of DUALITY. So it is with the creation of MAN. It is accomplished in TWO STAGES: 1) the physical phase, which began with the first man, Adam; and 2) the spiritual state, which begins with the second Adam, Jesus Christ (I Cor. 15:45-46). So also, man was made from his creation (and birth) with the one "human" spirit that became an integral part of man. But he is mentally and spiritually INCOMPLETE; he was made to need another Spirit—the HOLY SPIRIT of God—and when that gift of God is received, God's "Spirit itself beareth witness with our spirit, that we are the children of God" (Rom. 8:16)—in the begotten (or first stage) of man's spiritual creation. This is clearly explained in I Corinthians 2. "… Eye hath not seen, nor ear heard, neither have entered into the heart [mind] of man, the things which God hath prepared for them that love him" (verse 9)—spiritual knowledge. "But God hath revealed them [spiritual things] unto us by his Spirit…" (verse 10). Notice particularly spiritual knowledge is not revealed by a Person called the Holy Spirit. It is revealed by God, and to us today through God's Spirit, which may be received only as God's gift through his mercy and grace. God is the revealer. The Holy Spirit is the instrumentality by which we may comprehend that which only God can reveal. "For what man knoweth the things of a man, save the spirit of man which is in him? …" (verse 11). If the Holy Spirit is the third Person of a Trinity, then is not the spirit in man also another man? A cow, sheep or dog cannot know the things a MAN knows—and neither could a man, except by the spirit of man that is in him. For example, such knowledge as chemistry, physics and technological and scientific knowledge. Likewise, the natural man with this one spirit is limited—"even so the things of God knoweth no man, but the Spirit of God." ONLY when the Holy Spirit enters, combining with the "human" spirit, can a man come to really comprehend that which is spiritual—"But the natural man receiveth not the things of the Spirit of God: for they are foolishness unto him: neither can he know them, because they are spiritually discerned" (verse 14). The most highly educated view all things through the eyeglasses of evolutionary theory. Evolution is concerned solely with material life and development. It knows and teaches nothing about spiritual life and problems—and all the evils in the world are spiritual in nature. That is WHY the most highly educated are, overall, the most ignorant—they are confined to knowledge of the material, and to "good" on the self-centered level. Knowledge of God and the things of God are foolishness to them. But, of course, God says, "the wisdom of this world is foolishness with God" (I Cor. 3:19). Remember God's PURPOSE in creating man on the earth: 1) to restore the GOVERNMENT OF GOD on earth and by regulating human life through that GOVERNMENT, a) complete the physical creation of earth where angels turned it to ruin, and b) in the process complete the creation of MAN by developing righteous spiritual CHARACTER; and 2) to establish the KINGDOM OF GOD, and eventually the incredible human potential of finishing the creation of the vast UNIVERSE! This supreme PURPOSE required:1) that MAN reject Satan's WAY, embracing GOD'S WAY OF LOVE, based on God's spiritual law; and 2) that man be made first of matter so that, if he was led into Satan's way of "GET," he could be CHANGED, converted to GOD'S WAY of LOVE, or if he refused to change, his life would be blotted out without further or continuous suffering just as if he had never been. Spirit beings, once a finished creation (as were the one third of the angels who became evil characters), could not be changed! Spirit, once its creation is completed, is constant and eternal—not subject to change. But physical matter is constantly changing. Through God's master plan for his spiritual creation, to be covered later, it had been master-planned by God and the Word that the Word would divest himself of his supreme glory, and in due time take on him the likeness of human flesh, as Jesus Christ, making possible the spiritual phase of the creation of MAN—God REPRODUCING HIMSELF! What a MASTER PLAN for the extreme ULTIMATE in creative accomplishment! How GREAT is our God, in mind, purpose, planning, designing, as well as CREATING—from the tiniest germ or insect to the most huge sun, dwarfing our own great sun to insignificance! And the incredible human potential is that the GREAT MAJESTIC GOD is, in MAN, reproducing himself—man can be born into the GOD FAMILY! But it was necessary that he resist and reject Satan's "GET" way, which was the foundation of Satan's evil government, and choose GOD'S WAY of his law—the way of LOVE (GIVE), the basis of God's government! His Maker talked first to Adam and Eve—instructed them in the GOVERNMENT and spiritual LAW of God—though in Genesis 2 only the most condensed summary of God's instruction to them is revealed. Satan was restrained from any contact with them until God first had taught them. But now consider, God had created a man out of the dust of the ground. But God creates in dual stages. The man was not yet physically complete. God wanted him to "multiply and replenish the earth." But the man could not do that because he was not yet physically complete. So God put him into a deep sleep (anesthesia) and performed an operation, removing a rib and forming a woman from it. They became one family. The physical creation of man was completed. They could reproduce their kind. But the man God created was mortal. He had only a temporary physicochemical existence kept alive by circulation of blood, oxidized by the breath of air, and fueled by food and water from the ground. He did not have LIFE inherent—self-containing life. But he did have a human spirit that, united with God's Holy Spirit, could beget him with eternal life. But God offered to him immortal LIFE through this symbolic tree of LIFE. God did not urge or compel him to take it—he merely made it freely accessible. Adam could eat of all the trees of the garden except the one forbidden tree, of "the knowledge of good and evil." He would have received the Holy Spirit of God to unite with his human spirit. The man was not mentally or spiritually complete until receiving the Spirit of God. This would have united him, mentally and spiritually, with God. He would have been begotten as a child of God, just as is the converted Spirit-begotten Christian. God would have revealed to Adam God's way of life—which is God's spiritual law. That law is the way of outflowing love—but it would have been "the love of God … shed abroad in [human] hearts by the Holy [Spirit]" (Rom.5:5). Human natural carnal love cannot fulfill God's holy law. I like to compare this to the umbilical cord connecting the newborn baby with its mother. Its human life and physical nourishment have been supplied during gestation from the mother to the child. God's spirit LIFE is imparted to the Christian through the Holy Spirit. Also, spiritual knowledge is imparted by God but through the indwelling of the Holy Spirit (I Cor. 2:10). Full comprehension of God's LAW (his way of life) is imparted by God through the Holy Spirit. But the law of God requires action and performance, and LOVE is the fulfilling of God's law (Rom. 13:10), and it can be fulfilled only by the love of and from God (Rom. 5:5). But instead Adam chose a different kind of knowledge—he took TO HIMSELF the knowledge of good as well as evil. He relied wholly on himself—both for the KNOWLEDGE as well as power of performance of good as well as evil. He REJECTED reliance on God and chose the course of SELF-reliance. The only righteousness he could acquire was SELF-righteousness, which to God is like filthy rags. Adam and Eve took of the tree of "the knowledge of good and evil." Taking of its fruit was taking to themselves the knowledge of what is good, and what is evil—deciding for themselves what is right and what is sin. This, of course, meant rejection of GOD'S LAW, which defined for them the right and the wrong. He put DOUBTS in her mind about God's veracity. He put a sense of injustice and resentment within her. He deceived her into believing God had been unfair—selfish. He subtilely injected vanity of mind. He misled her into thinking it was right to take of the forbidden fruit. Adam, not deceived, nevertheless went along with his wife. With her, he took to himself the determination of what is right and what is wrong—thus DISBELIEVING what his Maker had said, REJECTING God as Savior and Ruler—rejecting God as the source of revealed BASIC KNOWLEDGE. He believed and followed Satan's WAY! When God "drove out the man" from the Garden of Eden, and barred reentrance—lest he go back and receive eternal life in sin (Gen. 3:22-24)—God PRONOUNCED SENTENCE! God said, in effect: "YOU have made the decision for yourself and the world that shall spring from you. You have rejected me as the basic source of knowledge—you have rejected power from me through my Spirit to live the righteous way—you have rebelled against my command and my government—you have chosen the 'GETTING,' 'TAKING' way of Satan. Therefore I sentence you and the world you shall beget to 6,000 years of being cut off from access to me and my Spirit—except for the exceedingly FEW I shall specially call. And that FEW shall be called for special service preparatory for the kingdom of God. They shall be required to do what you have failed to do—reject, resist and overcome Satan and his WAYS, and follow the ways of my spiritual LAW. "Go, therefore, Adam, and all your progeny that shall form the world, produce your own fund of knowledge. Decide for yourself what is good and what is evil. Produce your own educational systems and means of disseminating knowledge, as your god Satan shall mislead you. Form your own concepts of what is god, your own religions, your own governments, your own life-styles and forms of society and civilization. In all this Satan will deceive your world with his attitude of SELF-centeredness—with vanity, lust and greed, jealousy and envy, competition and strife and violence and wars, rebellion against me and my law of LOVE. "After the world of your descendants has written the lesson in 6,000 years of human suffering, anguish, frustration, defeat and death—after the world that shall spring from you shall have been brought to confess the utter hopelessness of the way of life you have chosen—I will supernaturally intervene. By supernatural divine power I shall then take over the government of the whole world. With reeducation, I will produce a happy world of PEACE. And on repentance, I shall then offer eternal salvation to all. After a thousand years of that happy world to come, I will resurrect from death to mortal life all who have died uncalled during this present 6,000 years. Their judgment shall then come. And on repentance and faith, eternal life shall be offered them. "During this 6,000 years, when I myself shall cut them off from me, they shall not be eternally judged. Only, as they sow during their lifetimes, they shall reap. But when I open eternal salvation to them, there shall be no Satan to hinder or deceive them—no Satan for them to overcome. Those few called during this first 6,000 years shall have to reject and resist Satan's pulls and overcome. But those who overcome shall sit with me in my throne, and have power under me to rule all nations under my Supreme Rule." Adam the first human rejected knowledge from and reliance on God. He chose to rely on his own knowledge and abilities. The modern world, developed from Adam, relies wholly on human self-reliance. The psychology taught in our day is self-reliance. Rely on the innate powers within you, they teach. An atmosphere of self-reliant professionalism pervades most modern university campuses. It is the spirit of vanity. The university student is induced to think of himself as becoming a professional—that is, he considers himself elevated above those who have not had his brand of education. Through the basic concept of the evolutionary theory, he feels himself completely above those who believe in God and the Lord Jesus Christ. He regards them with disdain. Let us pause here momentarily. Let us realize this was the very foundation of the world in which we still live. At this point, Satan must have gloated. He must have believed God was defeated—that God through Adam had failed to overthrow Satan's rule on the throne of the earth. But God says, "My purpose shall stand." God's 7,000-year plan will accomplish God's purpose in overwhelming and magnificent glory. The first man Adam had been given the opportunity to choose God's government, to restore that government to the earth, and to unseat Satan from the throne of the earth. Since he failed, salvation cannot be opened to humanity generally, until Jesus Christ, the second Adam, has accomplished what the first Adam failed to do—namely, to unseat Satan and to sit on the throne of the earth, restoring the government of God to this earth. At that very foundation of Satan's world it was also decreed (Heb. 9:27) that God had appointed that all humans should die once, and after that, by resurrection from the dead, would come the judgment. Meanwhile mankind as a whole would not as yet be brought to judgment—neither condemned nor saved. It was at that time decided that as in Adam all humans should die, so in Christ the same "all" should be brought back to life by a resurrection to judgment (I Cor. 15:22). This very resurrection of all who died in Adam has been a mystery to the whole world deceived by Satan. Even today traditional Christianity celebrates the resurrection of Jesus on the pagan Easter every spring, but says nothing about the future resurrection of the billions who have died in Adam. That resurrection will be explained later in this volume. Meanwhile, when Christ should come as humanity's sinbearer, he would found the Church of God. The purpose and function of the Church will be fully covered in chapter six of this book. Pause right here! Understand what Satan has blinded the entire world from seeing. Realize what a deceived traditional Christianity has not understood. This is of supreme importance! 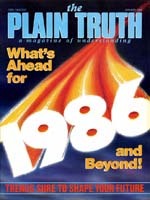 I quote now from an article in The Plain Truth, March 1985: "Scripture plainly reveals that when you die you are dead. According to the Bible, the dead don't hear anything, see anything, think anything or know anything. The dead have absolutely no awareness of any kind: 'For the living know that they shall die: but the dead know not any thing, neither have they any more a reward; for the memory of them is forgotten. Also their love, and their hatred, and their envy, is now perished …' " (Eccl. 9:5-6). The Bible's message is clear on this point. Death is death beyond any shadow of doubt. The apostle Paul wrote that "the wages of sin is death" (Rom. 6:23). Death, by definition, is the absence of life—not just separation from God. Even though when we die we are dead, we will not remain dead forever. The dead in their graves will live again! Read what Jesus says: "Do not marvel at this; for the hour is coming in which all who are in the graves will hear His voice and come forth—those who have done good, to the resurrection of life, and those who have done evil, to the resurrection of [judgment]" (John 5:28-29, RAV). The spirit is the depository of memory and character. The spirit is like a mold. It retains even the human form and shape of the deceased, so that in the resurrection to judgment those who have died shall look as they did in life, retain whatever character they established in life, remember everything that was stored in their memory. But in the meantime, in death, there is no consciousness—they "know not any thing" (Eccl. 9:5). The most universal false teaching, believed by virtually all churches called Christianity, except the one and only true and original Church of God, is that ALL are automatically "lost" unless they profess Jesus Christ as Savior—and that now is the only day of "salvation." But the truth is that those cut off from God are NOT YET JUDGED! Let us make that point clear. Adam, by choosing to take of the forbidden tree, cut off himself and his family after him from God. Yet because all humans born from Adam have sinned, each human has in fact cut himself off from God (Isa. 59:1-2). The Person in the God family who spoke with Adam was the Logos or "Word" who was later born as Jesus Christ. Adam had no contact with God the Father. When the Word closed the tree of life, all mankind was cut off from God the Father until Christ would come to earth in supreme power and glory to take from Satan the throne of the earth and to restore the government of God over the entire earth. Meanwhile Christ, the second Adam, came at his first appearing to reveal the existence of God the Father (Luke 10:22). Until that time, the world had no knowledge of the existence of God the Father. That is one reason the religion of Judaism had believed that God consists of ONE PERSON ONLY. That is the reason theologians have lost, or rather never possessed, knowledge of the fact GOD is a FAMILY into which we may be born as part of that very God family. That, also, explains why, on reading in the New Testament of God the Father, and also of Jesus being God, they came up with the false theory of the Holy Spirit being a "Ghost," or third Person of a Trinity, thus blaspheming the Holy Spirit and LIMITING God and doing away with all knowledge that converted humans can become members of the very divine God FAMILY. Thus Satan blinded "Christianity" from the truth and purpose of the gospel of Jesus Christ. They celebrate a pagan Easter acknowledging the resurrection of Jesus Christ from the dead. But they overlook entirely the plain biblical teaching that all who ever lived are to be resurrected from the dead, although in the time order of three distinctly different resurrections. The only hope the Holy Bible gives for the vast humanity of this dying world is the hope of a resurrection from the dead, but that is a positively sure hope. All this will be completely covered and full scriptures given in the chapters to follow. Consider! When God drove Adam and Eve out from the Garden of Eden, he set angels to bar mankind from reentering. Suppose the Eternal had left the gate into Eden open. Man had already taken of the forbidden tree. Man had already turned to sin. What would have happened? Probably the whole of sinning mankind would have surged back in to take of that tree of LIFE! Without any repentance—without even FAITH in God or in Christ—mankind would have helped himself to RECEIVING ETERNAL LIFE. How UNfair would God have been, had he allowed that! Man, with all his sins—and sin has a habit of increasing in the one who indulges in it—would have become immortal—living forever while suffering the pains, mental, physical and spiritual, that sin would bring on him! Man does not seem to realize that he now is the SLAVE of sin. Sin has cut him off from God the Father. Few understand that we are not saved by the death of Christ. We are reconciled to God the Father by Jesus' death. We are saved by his life (Rom. 5:10). Man does not realize that only a real repentance—turning from sin—and the living FAITH of Jesus Christ can FREE him from that penalty! Sin enslaves! It punishes! It brings sorrow, remorse, anguish. It inflicts physical injury, sickness and disease. It produces frustration and hopelessness. The most UNfair, UNkind, cruel thing God could have done once Adam and Eve had taken the forbidden tree would have been to leave the way open into the garden, with free access to all comers to the tree of LIFE—symbolic of the gift of ETERNAL LIFE! He, however, made salvation and eternal life in extreme happiness and bliss become available to ALL the human family. But, with godly wisdom, he set a time order and conditions! For the first 6,000 years—now almost completed—all but the predestined FEW were cut off. The Church was called to be trained to become rulers and teachers in the kingdom of God WHEN the tree of life shall be opened. Meanwhile the Holy Spirit has been closed to all but the prophets and the called-out-ones of the true Church. The prophet Joel foretold it shall come to pass afterward—after the 6,000 years of this world of Satan—that God will pour out his Spirit upon all flesh (Joel 2:28). In calling out the Church, Jesus said plainly, "No man can come to me, except the Father which hath sent me draw him …" (John 6:44). The Church is merely the "firstfruits" of salvation. This entire truth will be made more clear in chapter six. Those very few called, beginning with "righteous Abel" up to now and on to Christ's return to earth, have had to do what Adam refused to do—REJECT THE WAY OF SATAN, who rebelled against the GOVERNMENT OF GOD! Who, then, is a real Christian? Only those who have been, and are being, led by the Holy Spirit of God (Rom. 8:9, 11, 14). And none can receive the Holy Spirit until that person 1) REPENTS—of his sins, his transgressions of God's law; and 2) has complete faith in Jesus Christ—relying on Christ—which includes BELIEVING Jesus Christ. I mean, believing what he says—his WORD, the Holy Bible! Now, what of these and all the others—the THOUSANDS OF MILLIONS? Up to now, unless called and drawn by God, they simply have not yet been judged! I do not mean they shall not have to give account for their sins. They shall, indeed! But their judgment is COMING. Judgment has begun in the true Church of God (I Pet. 4:17). Jesus said, "No man can come to me, except the Father … draw him …" (John 6:44). No MAN CAN come to Christ otherwise! But the Church is merely the FIRST harvest. In Satan's deceived world many have come to a counterfeit Christ who is supposed to have done away with his Father's commandments. They even worship Christ. But Jesus himself said plainly: "Howbeit in vain do they worship me, teaching for doctrines the commandments of men… . And he said unto them, Full well ye reject the commandment of God, that ye may keep your own tradition… . Making the word of God of none effect through your tradition, which ye have delivered: and many such like things do ye" (Mark 7:7, 9, 13). Deceived millions do not realize that they are worshiping Christ in vain. They have been deceived into, worshiping "another Jesus." GOD'S WONDERFUL MASTER PLAN WILL CALL EVERYONE WHO EVER LIVED TO RECEIVE ETERNAL SALVATION, but on real repentance and belief of God's truth. But, there is a time-order in resurrections (I Cor. 15:22-23). "For as in Adam all die, even so in Christ shall all be made alive. But every man in his own order: Christ the firstfruits; afterward …" (two other resurrections revealed in Revelation 20:11-13 are not covered in I Corinthians 15). HOW WONDERFUL are God's ways—even though hidden now from most of humanity bringing so much suffering on themselves! As the apostle Paul exclaimed: "O the depth of the riches both of the wisdom and knowledge of God! how unsearchable are his judgments, and his ways past finding out!" (Rom. 11:33). In MAN, God is reproducing himself! The word for God in Genesis 1:1 is Elohim in the original Hebrew. It is a name, like church or family or group. God said, "Let US"—not ME—"make man in OUR image." God truly is a family into which we, literally, may be born! WHAT, then, is man? He is a living being made from the dust of the ground. He is CLAY, and GOD is the Master Potter, molding, shaping, forming our CHARACTER—if we respond when he calls and draws us to him. With our willingness he is infusing into us HIS VERY OWN SPIRITUAL HOLY, RIGHTEOUS and PERFECT CHARACTER! WHY is man? God created man on the earth to build in us what the sinning angels refused to let God build in them—his perfect CHARACTER! He is, in his time-order and way, developing us to become VERY GOD—each of us—and to finish the creation of the unfinished UNIVERSE! But, for NOW, we still live in this deceived world led by Satan.